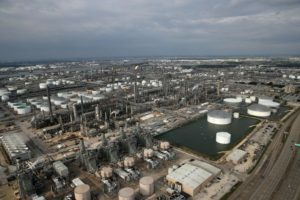 State regulators in Texas confirm the hurricane caused the release of pollutants from refineries operated along the Gulf Coast. The flooding also destroyed two oil storage tanks releasing about 30,000 gallons of crude oil on Wednesday. Reports indicated the refineries were those run by Exxon, Shell and other companies. 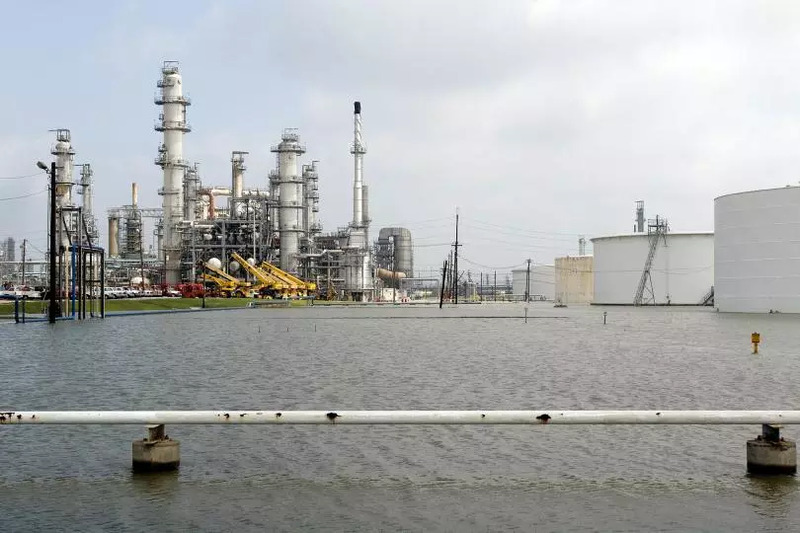 The state was informed by Shell this week that 100 pounds of benzene and 100 pounds of toluene were released when a floating roof over a tank at the refinery in Deer Park partially sank. Something similar happened at Exxon Mobil Corp.’s refinery in Bayton. In that case, the Environmental Protection Agency said there was a release of 15 pounds of benzene, a chemical considered as a carcinogen. The larger spills happened in DeWitt County and were reported by Burlington Resources Oil and Gas. One leak involved 385 barrels of oil near Westhoff, Texas. The other involved 316 barrels near Hochheim, a town about 150 miles west of Houston.They included a a 16,170-gallon (385 barrels) oil leak near the town of Westhoff and a 13,272-gallon (316 barrels) spill near Hochheim, around 150 miles west of Houston. Burlington Resources is a subsidiary of ConocoPhillips and the company said on Wednesday it was monitoring the situation. The company expected more damage as water levels drop in the area. 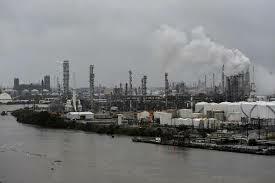 Flooding caused a shutdown of the biggest refinery in the country. 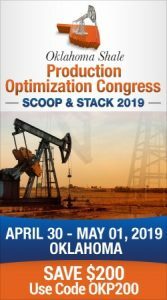 Production at Motiva Enterprises’ refinery in Port Arthur, Texas had cut output to just 40 percent. Motiva is owned by Saudi Aramco, the state-owned oil company of Saudi Arabia.